A smile makeover can combine multiple procedures into one comprehensive treatment, providing streamlined and time-saving dental care. Dr. Davey Crockett has decades of experience in the field of cosmetic dentistry and can use his expertise to achieve each of your aesthetic goals. At our Richmond, VA, practice, our team is focused on providing comprehensive care in a conservative fashion. When you choose Davey Crockett Dentistry, you can expect to receive unparalleled, expert-level care in a friendly and comfortable atmosphere. Creating and maintaining healthy smiles for our patients is our top priority. Each smile makeover is meticulously tailored to meet your unique concerns. Even patients with excellent oral health can be unhappy with certain aspects of their smile. Many people who are self-conscious about their teeth cover their mouths when they laugh or speak, and sometimes avoid smiling altogether. A smile makeover combines various cosmetic treatments to address aesthetic imperfections such as discoloration, chips, cracks, or crooked teeth. The end result is a dramatically improved, beautiful appearance. Because each patient has unique goals, a smile makeover procedure can vary from person to person. During an initial consultation, Dr. Bousaba will listen closely to your aesthetic concerns, and create a fully personalized treatment plan that will achieve your goals with the most conservative methods available. Because a smile makeover is cosmetic in nature, candidates should have healthy teeth and gums. If more pressing dental issues are present, such as extensive tooth decay or gum disease, these problems should be addressed first in order to ensure long-lasting results. A Comprehensive Approach: When treatment is planned according to the big picture, you could save time and money. Streamlined care provides optimal results. Convenience and Customization: With a smile makeover, patients have the freedom to plan treatment as they wish. Some patients prefer to complete multiple treatments during the same office visit, while others plan their procedures over several months. A smile makeover can be fully customized to fit your schedule and budget. 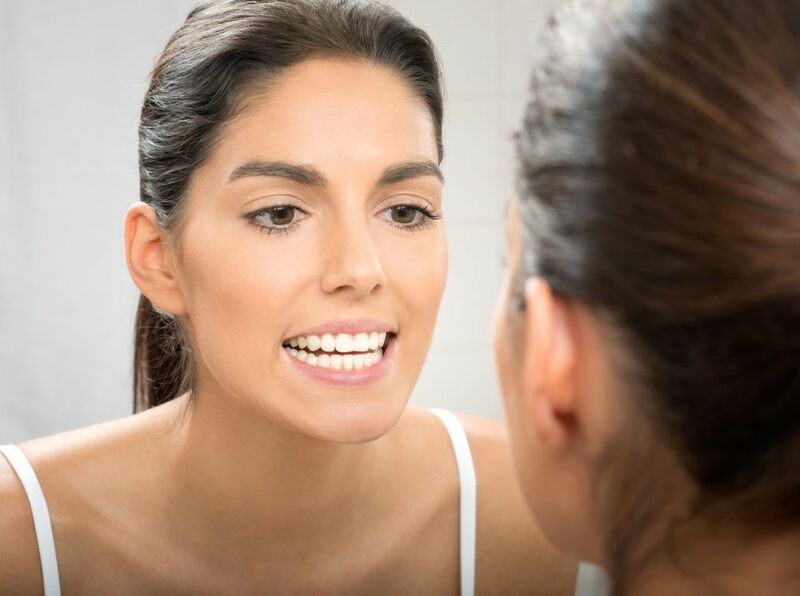 Improved Health and Comfort: A convenient byproduct of a smile makeover is that your bite will be balanced, reducing the risk of future decay, temporomandibular joint (TMJ) disorder, or bruxism (teeth grinding). Porcelain Veneers: Crafted from medical-grade ceramic, porcelain veneers are affixed to the front surfaces of the teeth to mask imperfections, such as chips, misalignment, or discoloration. Invisalign®: Patients with gaps, crowding, and misalignment can straighten their teeth discreetly using these clear, thermoplastic aligner trays. Teeth Whitening: Extrinsic stains from coffee, tea, and red wine can be lightened with professional teeth whitening treatments. Gum Contouring: Patients with an uneven or “gummy” smile can bring balance and symmetry to their appearance with gum contouring. Dental Bonding: A more cost-effective alternative to porcelain veneers, dental bonding can mask minor cosmetic flaws, such as misshapen teeth, chipped teeth, or discoloration. A smile makeover can often include restorative treatments as well, such as dental implants, dental bridges, or dentures to ensure a strong, fully functional foundation. If you are interested in finding out more about a smile makeover procedure, schedule a consultation with Dr. Bousaba. Contact us online anytime or call our office at (804) 282-2990.